White Wizard Games at PAX East, UK Games Expo and Origins! Convention Season has officially started and we’re gearing up for lots of exciting events at some of the different shows we’ll be attending this year. There are lots of shows throughout the year and the next big three we will be attending are Pax East, UK Games Expo and Origins Games Fair. We’ll be at Pax East at booth 13094, where you will be able to come and demo some of our awesome games including our upcoming release, Sorcerer. 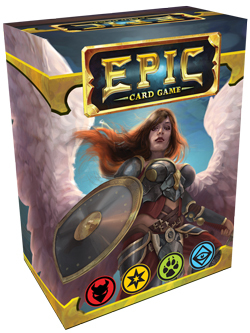 We will also be demoing Star Realms, Hero Realms and Epic Card Game! 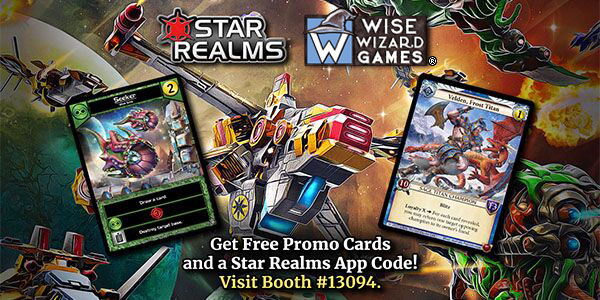 We will also be giving out free promo cards, free Steam codes for the Star Realms apps, and have lots of our products for sale. 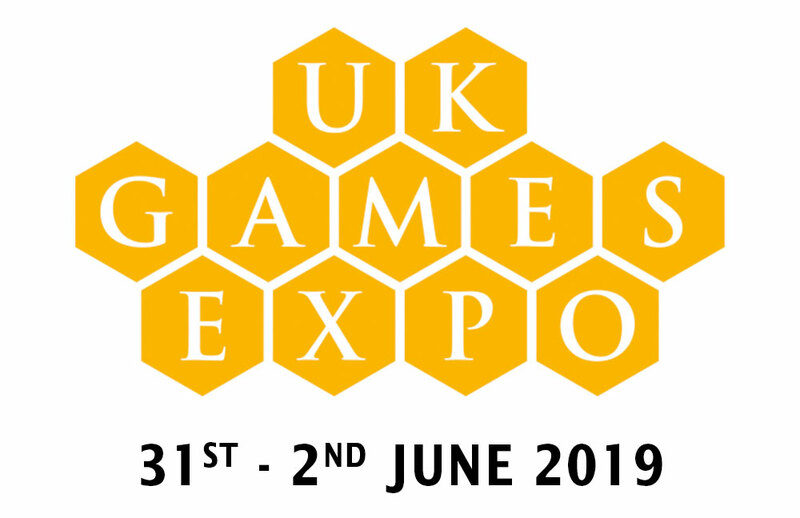 We are super excited to be heading over to the UK Games Expo in May! We got to visit the show last year and we absolutely loved it and can’t wait to go back. We are a supporting sponsor of the show and we have lots of exciting things planned including demos of our games, and events including our Legend Series Tournaments which you can find below! Become a card in the game! Everyone gets a promo card. Play mats for top 8. Door Prizes! Winner’s likeness will be featured on a card in an upcoming set! Dark Draft – games will be provided. Swiss with cut to elimination rounds. Become a card in the game! Everyone gets a promo card. Play mats for top 8. Door Prizes! Winner’s likeness will be featured on a card in an upcoming set! Games will be provided. Swiss with cut to elimination rounds. Become a card in the game! Everyone gets a promo card. Play mats for top 8. Door Prizes! Winner’s likeness will be featured on a card in an upcoming set! Games will be provided. Swiss with cut to elimination rounds. Character packs will be used in elimination rounds. 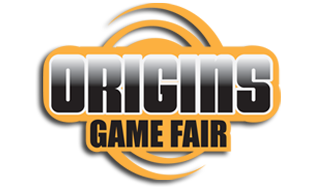 We are also excited to be sponsoring Origins Game Fair. We’ve been attending the show for many years and supporting the show. We’ll be bringing lots of awesome events to the show! We will also be giving away some serious cash prizes! Players will compete to win their share of $20,000 at the Star Realms Origins $10K Championship and the Epic Card Game Origins $10K Championship. We will also be running a Hero Realms Legend Series where the winner will have the opportunity to be featured in the artwork of a card in an upcoming set of Hero Realms! How to get a seat in the Tournaments? All top weekly winners of the Star Realms Arena on the app up until the event are qualified to play in the Star Realms tournament or you can win an on-site qualifier. The Epic $10K Championship requires a Gold Ticket to play or you can win an on-site qualifier. Everyone gets a promo card. Play mats for top 8. Door Prizes! Winner qualifies for Sunday’s 10K Championship with awesome swag! Bring your Full Constructed Deck. Everyone gets a promo card. Play mats for top 8. Door Prizes! Winner qualifies for Saturday’s 10K Championship with awesome swag! Everyone gets a promo card. Play mats for top 8. Door Prizes! Winner qualifies for Saturday’s 10K Championship with awesome swag! You can find all of the information about the events here! Subscribe to our newsletter for White Wizard Games product updates and news.